Sport news?! On a videogame website?! Usually this is the sort of transgression me and my chubby little sportless legs would simply not allow, but for this one time I will make an exception purely because of how brilliant it is. 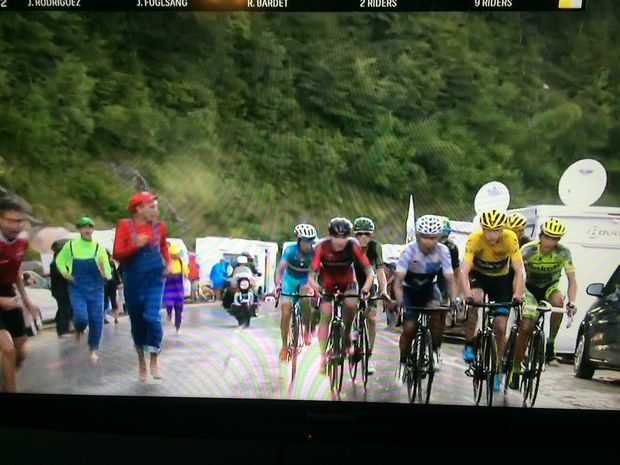 Mario, Luigi, and Wario have crashed the biggest bicycle race of the year, the Tour de France. In a still posted to Imgur, you can clearly see the trio running alongside the race. People in costumes getting close to the race isn’t a particularly uncommon thing, but I’m half expecting the wonderful pillocks to enter with a Yoshi next year.